What is the Ayurvedic diet? Well, Ayurveda believes that you can heal yourself from most illness simply by using food to influence and balance your biological energies. It teaches that we can be our own doctor and healer and that we can start treating ourselves using what we have in the kitchen. Hippocrates, the father of modern medicine even took a page from the Ayurvedic texts when he wrote “Let food by thy medicine, and medicine be thy food. 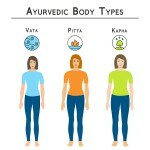 Here you can discover your body/mind type and learn which Ayurvedic diet is best suited to you, based on your dosha needs. Eating determines the health of the body and mind. It builds and nourishes all the tissues of the body, which in turn nourishes the mind and emotions. One of the unique aspects of Ayurveda is the role that taste plays in determining what foods to eat. The Ayurvedic diet categorizes foods as having six distinct tastes. The six tastes offer us a map on how to balance the three doshas. We can maintain our health by using foods from each of these categories to balance our doshas, as each of them has a different effect on the dosha and the digestive fire. To do this, we need to understand how each food affects each dosha. Sweet, sour and salty taste increase tissue (add weight to the body). Pungent, bitter and astringent decrease tissue (decrease weight). Sweet, bitter, and astringent have a cooling effect on the body and mind. Pungent, salty and sour have a heating effect on the body and mind. SWEET taste is building and strengthening to all body tissue. It harmonizes the mind and promotes a sense of contentment. It is a demulcent (soothing to the mucous membranes). SALTY taste is softening, laxative, and sedative. In small amounts, it stimulates digestion. SOUR taste is stimulating, dispels gas, nourishing and thirst relieving. It promotes circulation and strengthens the heart. PUNGENT taste is a diaphoretic (promotes sweating.) It improves metabolism and promotes heat and balances cold sensations. It improves circulation. BITTER taste cleanses the blood. It is cleansing and detoxifying. It reduces all body tissue and increases lightness in the mind. ASTRINGENT taste stops bleeding and other excess discharges and promotes healing of the skin and mucous membranes. It tightens tissues. To maintain balance in the doshas it is important to eat the right foods for your constitution. We are most vulnerable to imbalances related to our predominant dosha. like increases like while opposites create balance. This means that when a dosha is out-of-balance you'll want to choose tastes with qualities that balance (are opposite to) the elemental qualities of your constitution and the elements of the season. For example, if you are a Pitta type, you might experience heartburn (a common Pitta disorder) if you eat too much hot, spicy food. Or if it is summertime (the season of Pitta or heat) it is balancing to choose more cooling, or alkalizing foods to counter the heat of the symptom (heartburn) or season (summer). At the same time, you are supporting your underlying constitution. This approach helps your body and digestion to work at its best. 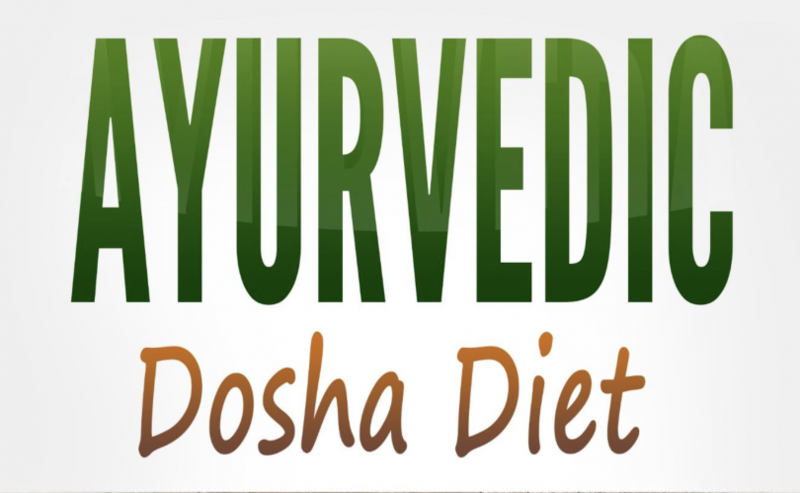 The Ayurvedic diet is tied to the three doshas and takes into account the unique dietary requirements of each person as well as the season or time of year. The first step is to discover your constitution. 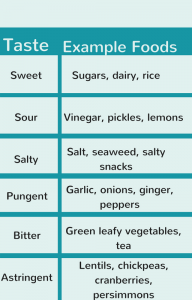 Sweet, sour and salty foods are generally balancing for Vata types since these tastes reduce wind and dryness. Bitter, pungent, and astringent foods are less beneficial to Vata types because they dry the body our and intensify dryness. If you are a Vata type you will feel the best and be your healthiest if you eat foods that are warm, moist, grounding and lubricating. These are foods that will improve your digestion and not dry out your body. 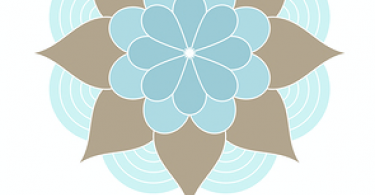 Vata's natural home is the body is in the colon and pelvic cavity. So an imbalance will cause an accumulation of Vata there which may result in constipation, flatulence and bloating. 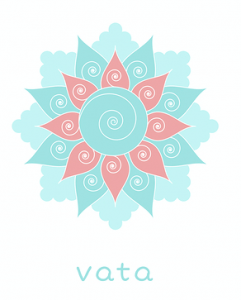 The qualities of Vata are cold, dry, light, and mobile. So, to balance, you would need to ground Vata's energy and balance it with these qualities: warm, moist, and heavy. The best tastes for Vata are sweet, salty and sour. In general Vata types do well with a Vata diet that emphasizes warm, soupy, and easy to digest foods. Their gut prefers cooked vegetables to raw. Most sweet and juicy fruits are beneficial for Vata. But, avoid unripe fruit or large amounts of astringent fruits like pomegranate and cranberry. Of all the tridoshas, Vata's can best use animal foods in their diet. If you are vegetarian, eat legumes. They are an essential food because it is the vegetable kingdoms equal of meat. Combine legumes with sweet grains such as basmati rice. Pitta's elements are fire and water. The qualities of Pitta are hot, oily, light, and mobile. Again, when choosing tastes, you'll want to balance these qualities with their opposites. If you are a Pitta dominant type, you will feel the best and be your healthiest if you eat a Pitta Balancing Diet that is cooling, dry. Pitta controls metabolism, digestion and energy production. Bitter, Astringent and Sweet taste balance Pitta Dosha. Pungent, Sour and Salty tasting foods are less beneficial to Pitta types because they overheat the body. 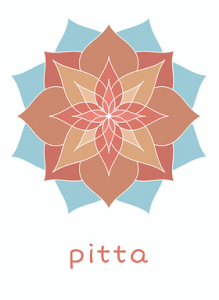 Pitta types do well with foods that are stabilizing sources of energy. For example, milk, coconut, coconut milk, and sweet rice pudding should frequently be eaten. Also, smoothies made from ripe mangoes, dates, and almonds are recommended. Fresh and raw foods are best for Pitta dosha, rather than canned, processed, or bottled food and drinks. Herbs and spices that help to balance Pitta dosha are coriander, cumin, fennel, turmeric, saffron, cardamom, and cilantro. Use cloves, ginger, black pepper, salt, mustard seed, fenugreek, sparingly. Garlic is very aggravating to this constitution, and thus must be avoided. To balance Pitta, avoid sour tasting foods like tomatoes, vinegar, yogurt, alcohol, sour cream and highly salty foods. Kapha's elements are water and earth. Kapha is heavy, damp, and cold. The best tastes to balance these qualities are heating and slightly drying. These balance the heavy and moist Kapha qualities. 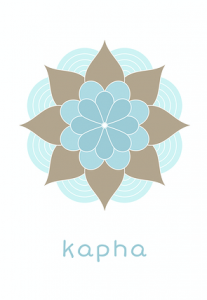 If you are a Kapha dominant type, you will feel the best and be your healthiest if you eat a Kapha balancing diet that encourages movement and flow. Pungent, spicy foods such as peppers, ginger, garlic, and turmeric are recommended for this type. Keep salt consumption low. Most seeds and nuts should be eliminated from their diet. But popcorn with no butter or salt is an excellent snack. It is best for a Kapha type person to limit or avoid sweet-tasting foods. These foods can cause heaviness in the body leading to obesity and lethargy. Kapha dominant folks should also limit sour foods due to their ability to increase thirst and water retention. Sour foods include oranges, pineapple, sour cream, and cheese. To balance Kapha dosha, reduce fatty foods, iced foods and excessive amounts of bread and pastries. By careful attention to your diet, adjusting it according to your constitutional type and the season of the year, you can balance the doshas. This balance is the first step to a healthy weight, a healthy body, and mind and disease-free life. It's important to remember that you are unique and your dietary needs shift with time, seasons, and changes in your life. Thank you so much for talking about and educating people about Ayurveda and the Ayurvedic diet. I am brand new to it, but very interested to know about how to eat for my body type. I think I have a pretty grasp of it thanks to your post. Thanks for posting it and I hope you keep it up! Thanks for taking the time to comment Ryan. Glad you found it helpful. This is a great article and I went off to do your test. The results were really interesting and quite accurate. I need to look into my diet a little more carefully but the rest of the recommendations for a more balanced lifestyle I can definitely put in to practice. I’m off to look i to more of your posts and articles now to see what else I can learn. The test is a good insight into your body/mind type. 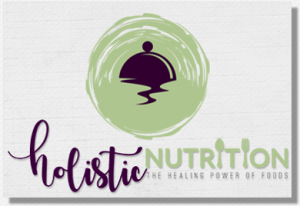 Keep in mind that if you are ‘in balance’ (meaning you have good energy and no symptoms) Your diet will change seasonally. If you are experiencing symptoms (for instance, heartburn) you would want to follow a diet that has the opposite qualities of your symptoms. In this example, it would be a Pitta reducing diet or cooling diet.) Make sense? Thanks for taking the time to connect. 🙂 xo p.s. what’s your constitution? Hi Jackie, this is an interesting article but something very new to me. I am kind of confused with the classification of food according to taste. It may take time before I get used to the terms. But it is new knowledge for me. I am sure it has a good purpose particularly in staying healthy. I should probably read more about the Ayurveda Diet so I can get used to it. Thank you for sharing. I’ll try to clarify a bit. There are six tastes – sweet, sour, salty, bitter, pungent and astringent. Each taste is made from the same five elements that make up the doshas – space, air, fire, water, and earth. And each taste has an effect on the doshas (Vata, Pitta, and Kapha. When your doshas are out-of-balance, these six tastes can help you heal the imbalance. In Ayurveda, the focus is on the quality of the taste of food and how the tastes interact with the particular constitution of the person.